Site #67 is a grassy, unserviced Water View site of modest size. 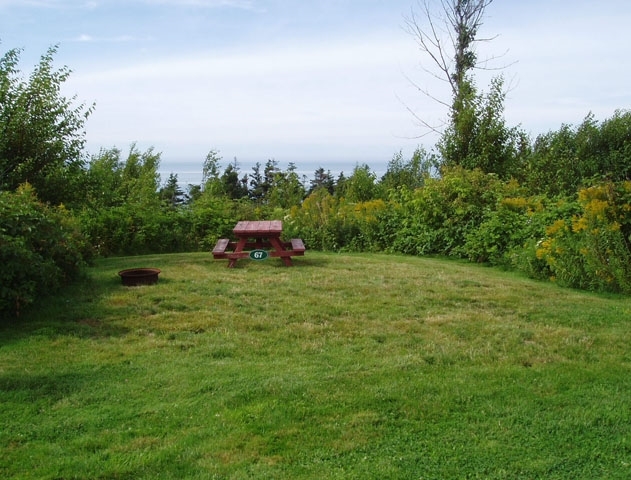 This site will accommodate one small to medium size tent, or a vehicle of 22 feet or less, and is equipped with a picnic table and fire ring. 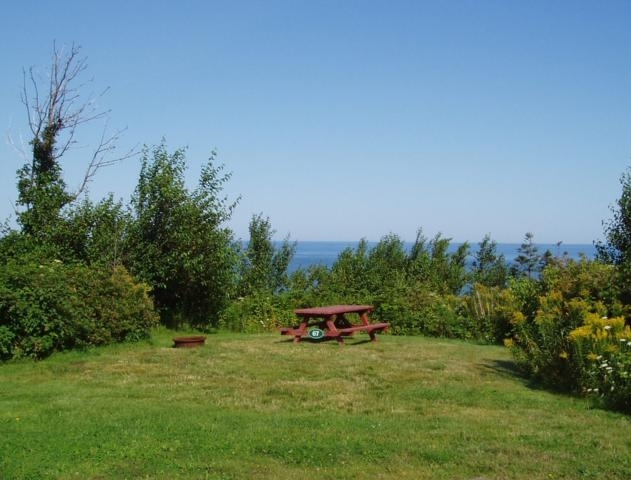 This site is within a short distance of drinking water taps, portable toilets, the common path to the shoreline and the serviced buildings complex. We just wanted to say "thank you" for our wonderful stay in Parker's Cove. Your campground was the best we stayed at while in Nova Scotia and we will certainly recommend it to others that may be traveling there. People in Nova Scotia were exceptionally friendly and laid back, which felt wonderful in this dog eat dog world we are in! Again, thank you for the stay and should we get to Nova Scotia again we will certainly make it a point to stop by!